The Missouri Mom: Onstar helps make Vehicle Emergencies Easier! 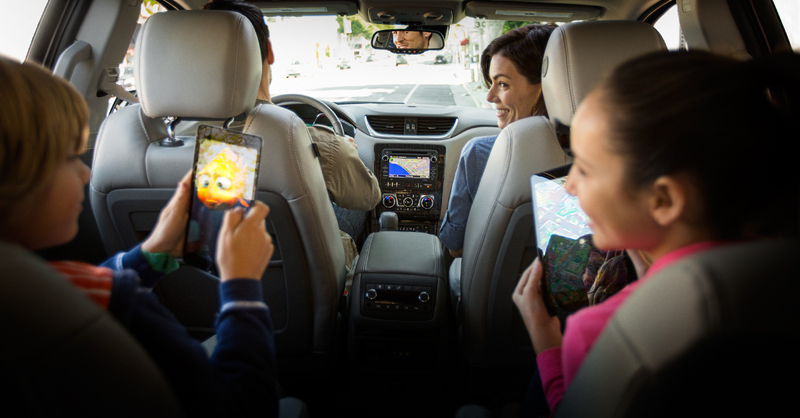 Onstar helps make Vehicle Emergencies Easier! week. When you have that much time in your car, you are likely to have an accident or a vehicle emergency. We as adults almost always know what to do incase of an accident, however, it is not always that easy for kids. This month Onstar has released an ebook that is loaded with information, tips, and ideas to help us parents educate our kids on car safety and what to do in an emergency. As I read through Onstar's ebook, I fell in love with logical questions they put in this book - like who should you contact in an emergency - while for most that is a dumb question (911) how many people would first post it on social media? In road safety, knowledge is power, and educating your kids is important! I encourage my fellow parents to take a second and download Onstar's ebook, educate your kids (and self), and feel a tad safer out on the road! Join SheBuysCars.com on Monday July 8th for for a fun filled Twitter party and your chance to win a $25 gift card!